I’ve only been through Magnolia, Iowa once or twice, and I don’t know much about the town. Though, what I do know reveals a story all to common in the Midwest and Great Plains. Located in Harrison County in far Western Iowa, the population of the area reached its peak over 100 years ago, a common pattern if not a peak even more distant in the past than nearby regions. In 1900 there were 25,597 people in the county. By 2000 there were just 15,666, a 40% decline. I turned up some old pictures of the school in Magnolia. Here is the story they tell. With many more people in both the town and the surrounding countryside, Magnolia was home to a three story brick school by 1916. 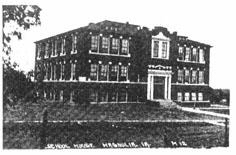 Magnolia School in 1916. Photo source. By 1953 the school had been expanded with an addition that included a large gymnasium. The population of the county was already declining significantly by the middle of the century. Magnolia School in 1953. Photo source. I drove through Magnolia, population now less then 200, this last August. 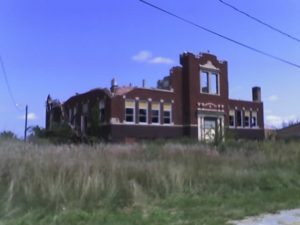 As I slowed down on Highway 127, I glanced right and caught just a glimpse of the now abandoned school a block to the North. The top floor has collapsed into the building. The few bricks that remain standing on the top floor frame a window, and highlight the collapse that is occurring on all sides of the building. Magnolia School in August of 2007. This poor quality photo was taken with a cell phone camera, the only thing I had available. It is likely fair to conclude that no children will ever again go to school in Magnolia. That’s unfortunate, but we can learn from this stunning rise and decline of a building. As rural communities struggle to survive amidst a declining rural population, our social infrastructure is the most crucial resource we have. Communities with grocery stores, drug stores and schools will be the ones to survive to host another generation. Once these critical components of a community begin to fade away young adults looking for a place to raise a family skip by in search of one where the school is within walking distance, not a long bus ride away. 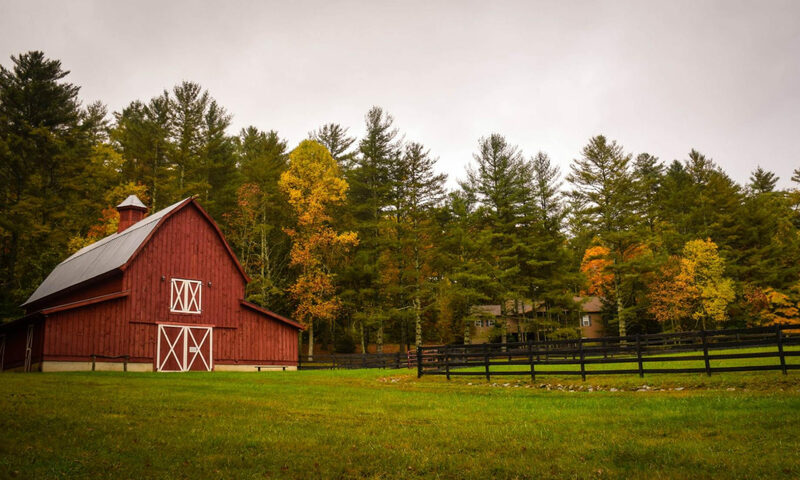 We need new policies, ideas, and innovations that keep more rural schools open, and ensure that few schools come to look like the one in Magnolia does today.